"This energetic experience brought warriors and their families face-to-face with Spider-Man, Black Panther, the Hulk, and Captain America — all on one stage, where they used their powers in an epic quest to defend the universe from evil..."
Injured veterans and their families immersed themselves into the wild live-action world of Marvel comic book heroes during a recent Wounded Warrior Project (WWP) event. When warriors and their families come together, that's when the healing happens. 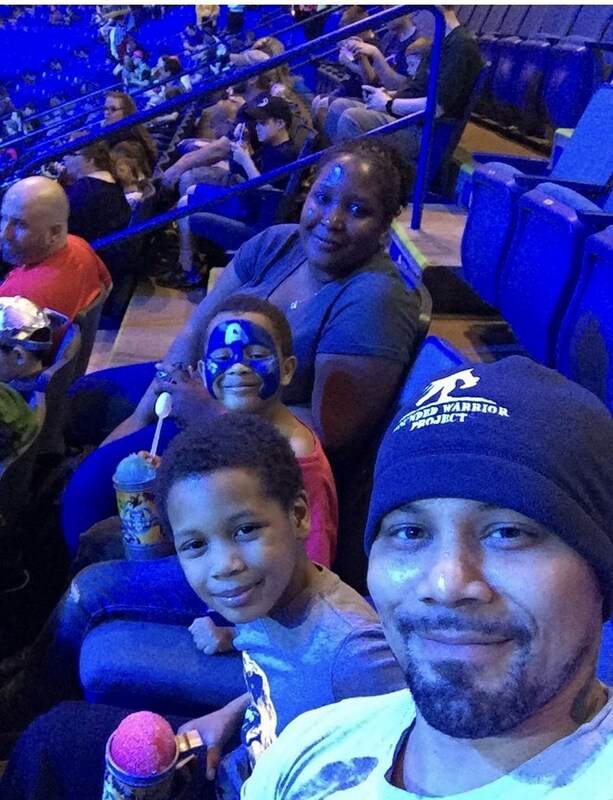 "My son loves everything Marvel," said Army National Guard veteran Jason Bowden. "He and the other kids at the event were thoroughly entertained with the Marvel heroes and villains, and I enjoyed being with fellow warriors and my family. Being a warrior is a great honor for me." This energetic experience brought warriors and their families face-to-face with Spider-Man, Black Panther, the Hulk, and Captain America — all on one stage, where they used their powers in an epic quest to defend the universe from evil. WWP program gatherings offer settings that provide opportunities for injured veterans to form bonds with one another, their families, and their communities. "I took my son and invited my twin sister and niece," said Army National Guard veteran Sonya Merkman. "We thought the character actors did a great job. My son and I were glad to see our favorite hero, the Hulk." Socializing with other veterans helps warriors connect with the support network they need to overcome the challenges they face. In a WWP survey (www.woundedwarriorproject.org/survey) of the wounded warriors it serves, more than half of survey respondents (51.6 percent) expressed they talk with fellow veterans to address their mental health issues. "Wounded Warrior Project, to me, means support," Sonya said. "This is an organization that my boyfriend, who is also a warrior, and I are grateful for. It allows families to get involved in relaxing and stress-reducing activities." Since 2003, Wounded Warrior Project (WWP) has been meeting the growing needs of warriors, their families, and caregivers – helping them achieve their highest ambition. ⏩ Learn more about opportunities for warriors to connect with each other and their communities at www.woundedwarriorproject.org/programs/alumni.